2017 was a fulfilling year, in more ways than one. On the professional front, it was my first year as an independent content strategist, and I am happy to report that I didn’t spend my days (well, not all of them) in my PJs. One of the most exciting projects I worked on was developing content for the Geist website. I had so much fun working with the team that I didn’t want to stop at just that – I now lead their online and offline communication efforts, and we’re ‘brewing’ up on some top secret stuff that I hope to talk about later on during the year! While I continue to take on other interesting content-related projects, I think this year has helped me get closer to understanding how best I want to use my skillsets. I’ve had to verbalize – both to myself and clients I work with – what kind of projects I want to spend my time on and I hope to carry this focus forward into 2018. On the personal front, I had a pretty fabulous year! 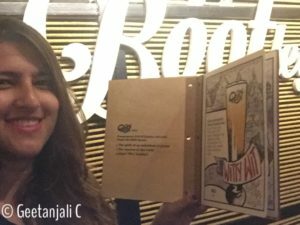 Geeth and I celebrated a decade of being together. We’re pretty much like chalk and cheese when it comes to shared interests, but one thing we both love is visiting new places. He gets to do it a lot more frequently (and therefore racks up a lot more airline miles!) than me because of Lagori, but I tag along when I can. In 2017 I made trips to Mangalore, Kumta, Agra, Delhi, Gurgaon, Goa, Belgaum and Mumbai. I also spent close to two glorious summer months visiting family and friends in the US, and Geeth joined us there for a short while. I ended up visiting a whole bunch of places including Seattle, the San Juan islands (via ferry from Seattle), New York City, New Jersey, Niagara Falls, Annapolis, Washington D.C., Los Angeles, Las Vegas, San Francisco and Portland. If I count our brief stop in Delaware, then that’s 8 states! 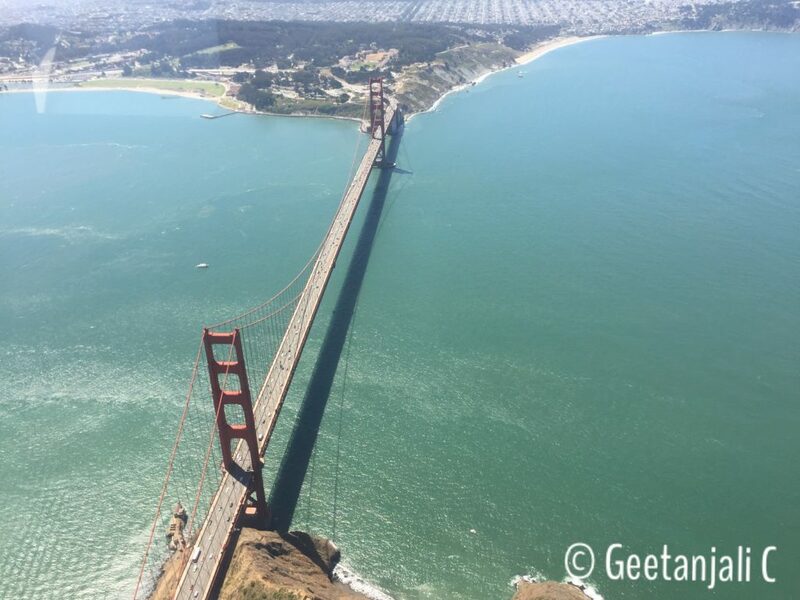 View of the Golden gate bridge in SFO. Thanks Vaibhav for the plane joyride! I think what I enjoyed most about 2017 was spending time with my family – especially my cousins. I’m an only child and the oldest grandchild on both sides. This meant that growing up, the age and geographical difference between us made it difficult for me to really get to know them. I’m so proud of all five of them (four on my mom’s side; one on my dad’s), and I look forward to spending more time with them this year as well! I also visited Mangalore a couple of times in 2017 to meet more of Geeth’s family, so that was great too. 2018 has already started off with a bang, thanks to an amazing trip to Kaziranga and Jorhat in Assam. 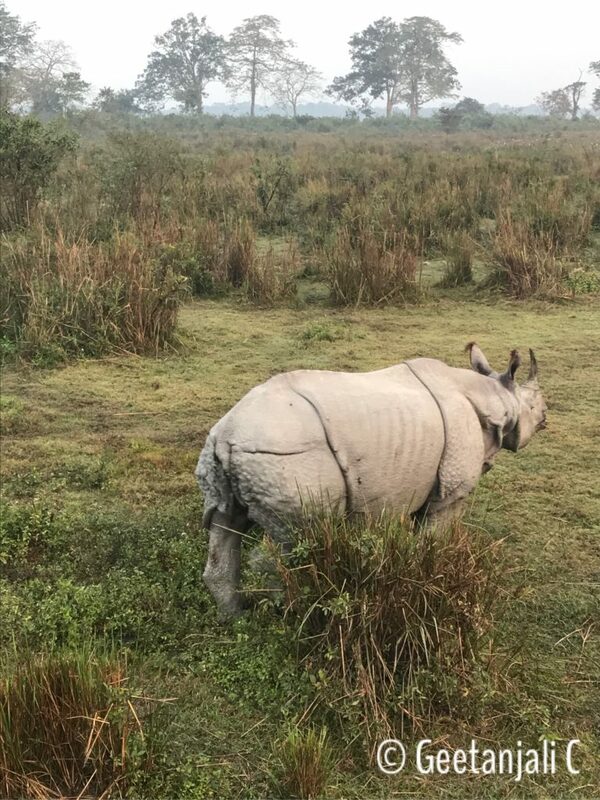 A bunch of us travelled with Lagori since they were playing a show at the Kaziranga University on Jan 5th, and we were lucky enough to book an early morning elephant safari to see the famous great one-horned rhinos! It truly is an incredible experience to see these amazing creatures in the wild – well worth the 4 am wake-up call! We spent a day at the gorgeous Borgos Resort in Kaziranga, and then two beautiful days at the Kaziranga Golf Resort in Jorhat. 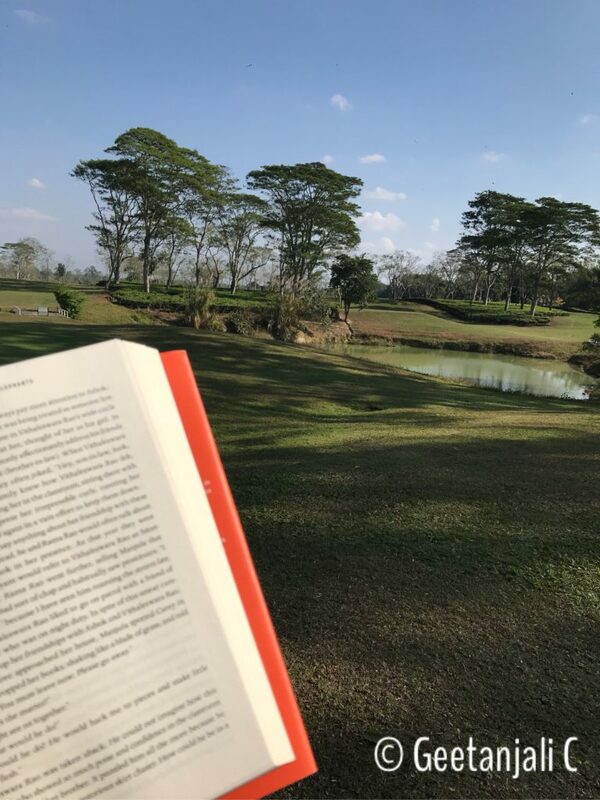 I got started on my resolution to read more often, and spent a few quiet hours reading on our off day in Jorhat. My first book for the year was Ants Among Elephants by Sujatha Gidla, which I picked up in the Bangalore airport. My fondness for non-fiction has increased over the years, and this book is definitely an eye-opener. 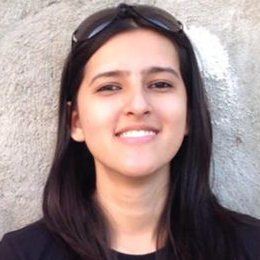 I am the first to admit that I know next to nothing about the deep-rooted practice of casteism in this country, aside from whatever politically correct ideologies we are fed through our Indian educational system. Apart from making me more aware about some harsh realities, this book is an interesting and detailed account of the author’s uncle Satyam and the role he played in the Communist and then the Naxal uprisings in the Andhra region. And with this post, I am also making progress with my resolution to write more. So here’s to more blogging, more travel, more amazing work and more reading in 2018!